This blog was written by one of our clients following a Billion Dollar Brow treatment with a henna tint. Throughout April 2019, The Beauty Spot is offering a free henna tint with your Billion Dollar Brow treatment. This offer will be available throughout April with our Beauty Therapist, Megan. How important are your eyebrows to you? Did you know that your brows can change the entire shape of your face? 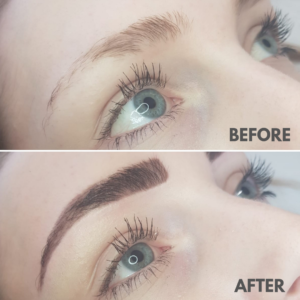 Whether your eyebrows are thick, thin or sparse, it is worth investing in getting them seen to by a professional – so I took a trip to popular Basingstoke beauty salon, The Beauty Spot. During Beauty Spot’s Billion Dollar Brow treatment, they assess, measure, trim, wax and tweeze your eyebrows to perfection – ensuring that the brow shape is correct for your face shape and accentuates your best features. In addition to the expert shaping, their qualified beauty therapist will tint your eyebrows – in my case this was done with henna. NOTE: This result is immediately after the treatment. Allow colour to settle. Before I had Billion Dollar Brows, my usual morning routine consisted of drawing on, filling in and concealing my eyebrows using make up – which could sometimes take me up to half an hour if they weren’t co-operating! If you’re as fed up with this routine as I was, then I would highly recommend the Billion Dollar Brow treatment with henna tint. Previously, without make up my brows were very thin towards the end – almost non-existent. This is a common problem for many people these days. With the hairs and skin tinted, Megan at The Beauty Spot has created a flawless brow out of nothing! Using henna as a form of eyebrow tinting differs to the dye used in traditional eyebrow treatments. It’s still used to stain the skin and the eyebrow hair but results in an overall bolder look, which appealed to me. As well as making your eyebrows fuller, I was pleased to discover that henna has other benefits. Elleebana brow henna is a vegan and cruelty free formula that also helps to strengthen, restore and improve the natural condition of the eyebrow hair. Henna brows can last up to 5 weeks on the hair and up to 2 weeks on the skin (depending on your skin type and lifestyle). A standard tint will only last up to 3 weeks on the hair and doesn’t pigment the skin either. 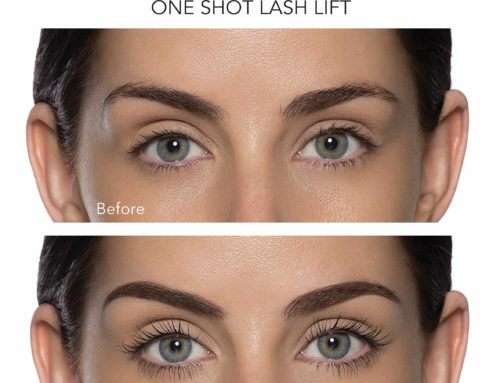 If, like me, you were considering a permanent brow solution such as microblading but you’re nervous about the risks and reluctant to make the commitment, then I would highly recommend this treatment as a stunning alternative. It has changed my day to day life by making my morning routine much simpler and it has made me feel so much more confident. The ladies at The Beauty Spot have expert training and will make you feel at ease. Book your Billion Dollar Brow treatment this month to get a free henna tint and experience the benefits of a longer lasting brow solution. Billion Dollar Brows with a henna tint is usually priced at £30, however with this deal it is only £26 throughout April. A patch test is required 72 hours before treatment. Give us a call on 01256 460 076 to find out more or book an appointment with Megan online. Your journey to fabulous brows starts here.